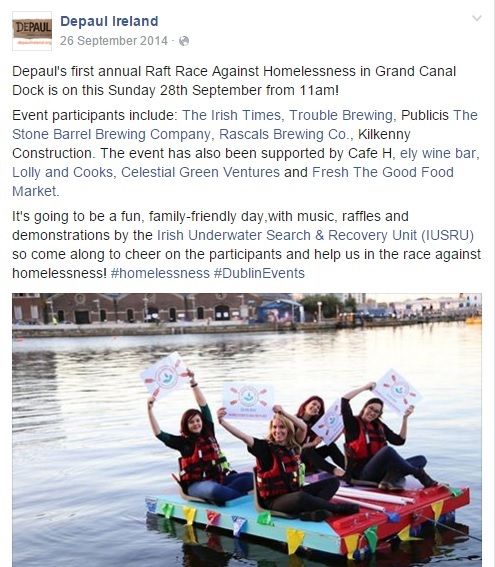 Supporting Depaul’s first annual Raft Race Against Homelessness in Grand Canal Dock. 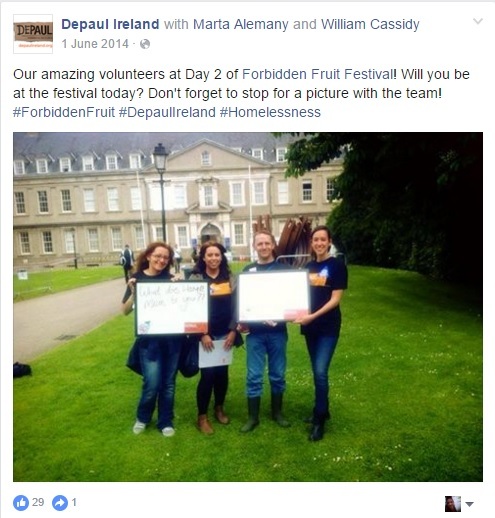 Participating and leading the public awareness action in Forbidden Fruit 2014. Photo Album resuming the Forbidden Fruit Action in 2014.